Who doesn't like glitters! 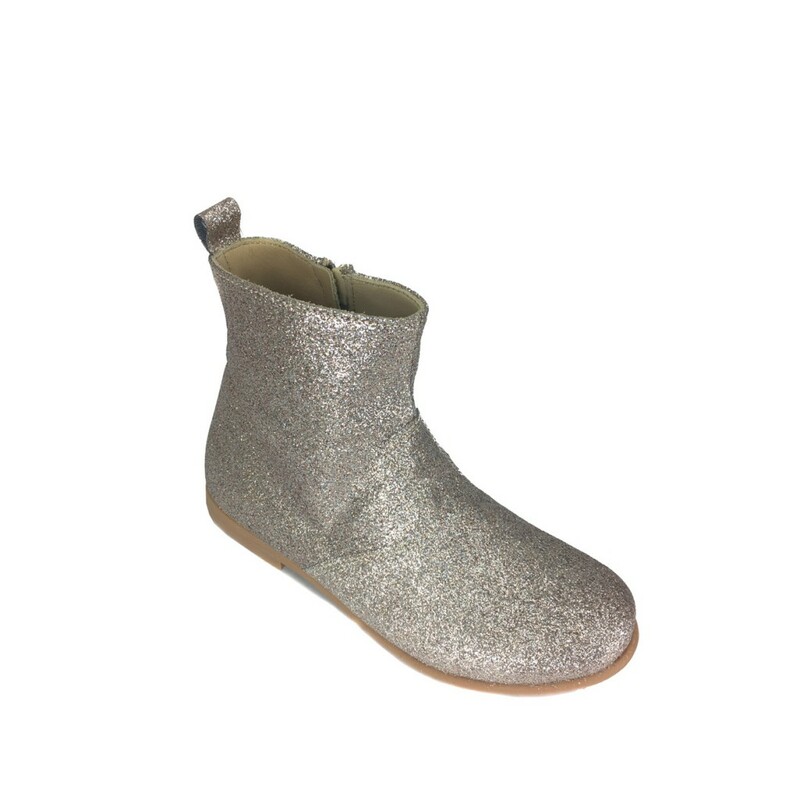 Beautiful elegant short silver-gold boot in fine glitter. 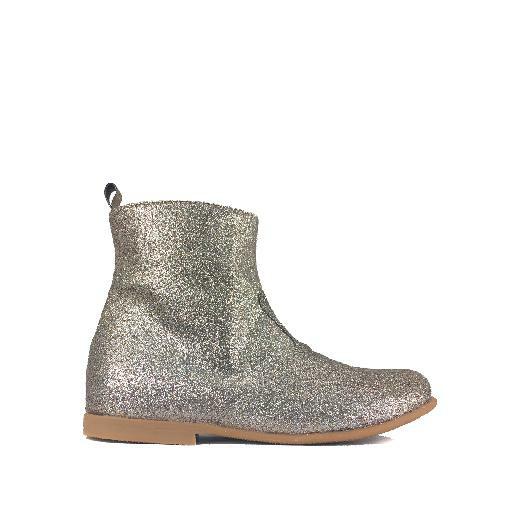 These shoes really finish every outfit. All in leather. 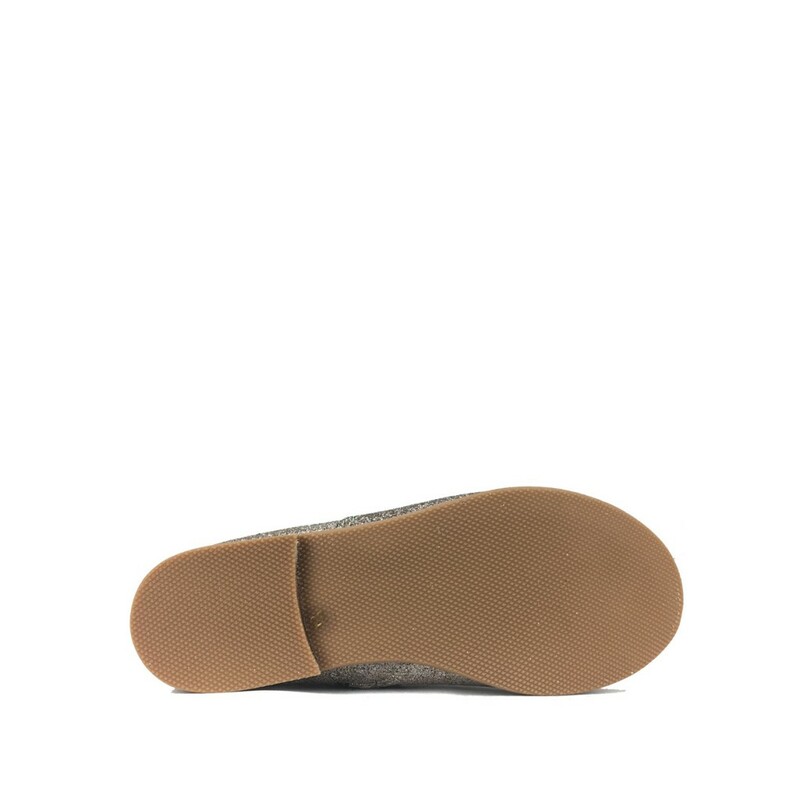 With rubber non-slip outsole. 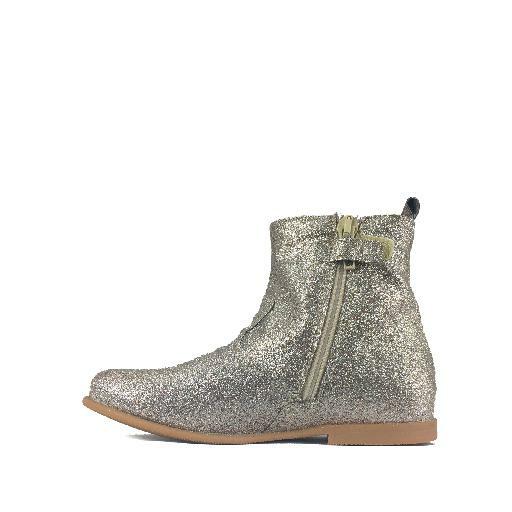 Closes with zipper on the inside, tab at the back of the heel. Narrow reads therefore ideal for narrow feet. Completely customized by Anna Pops. Beautiful elegant fit.